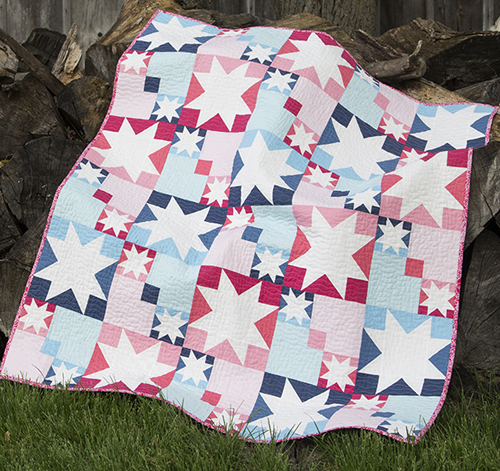 Share Your Love of Quilting and Win! 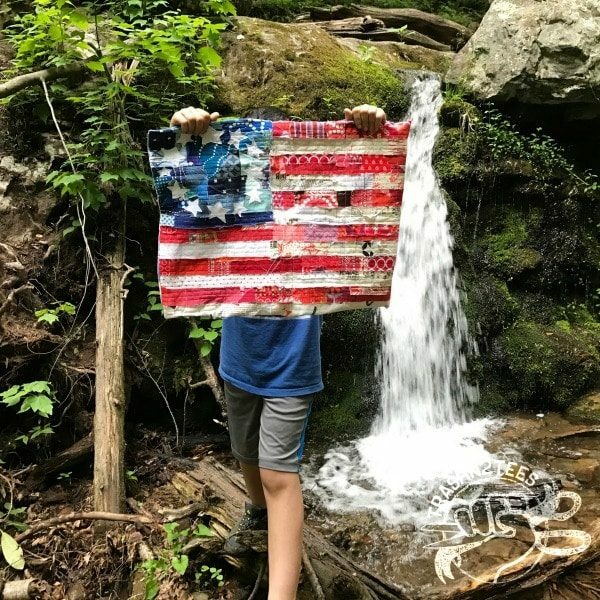 Above, Jenelle Montilone shares a photo of her quilt with the WeAllSew Community. We’re so excited about getting the chance to see what makes you love to quilt that we’ve decided to extend our “Share Your Love of Quilting!” contest through the end of this month! 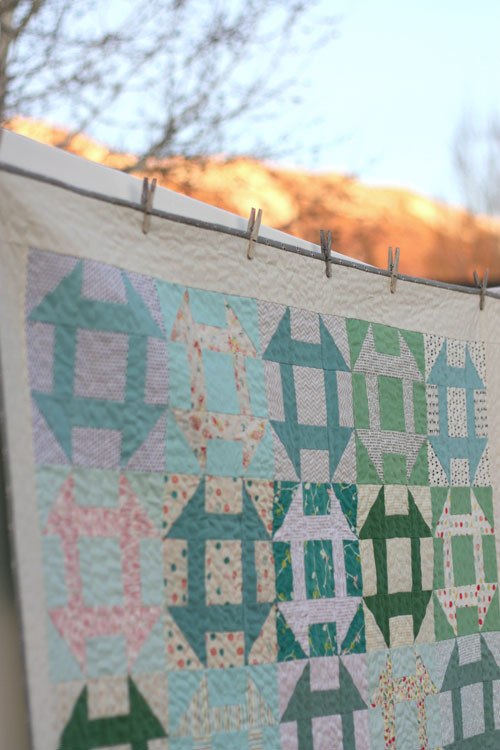 Amy Smart shares her Churn Dash quilt here at WeAllSew. In honor of our BERNINA 125 Years Golden Anniversary in 2018, we pledge to “Celebrate Your Creativity” all year long. We couldn’t think of a better way to celebrate your creativity than to share in your pride by showcasing what you love about quilting. All quilters are invited to submit an entry to tell us why you love to quilt. It doesn’t matter if you’re a beginner who’s just finished your first quilt or if you are an absolute quilting master, it’s all for the love of the quilt. Get ready to share your love of quilting by showing us your quilted creation and telling us why you are proud of your finished quilt. 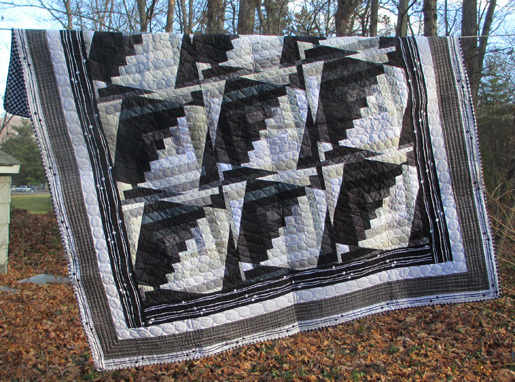 Pictured above is Katie Pasquini Masopust’s dancing log cabin shared with WeAllSew here. Faith Jones shares her Summer Sparkle quilt-along here at WeAllSew. Click here to learn exactly how to enter. Contest is open through Thursday, May 31st at 11:59 PM Central time. Click here to read the official rules. Good luck, and most of all, happy quilting! I love quilting as an opportunity for creative expression and as a way to make one-of-a-kind gifts that show my love and appreciation for my friends and family. I have and love my 750QE. Just one a best in show and a first place in a local show. My Bernina is the best. I love needle-turn appliqué and piecing in the same quilt. The buttonhole stitch on my machine is fabulous. I love making lap quilts for family. I’ve learned so much on these I am now tackling a queen size bed quilt. I really learned the many features on my B790 when I participated in weekly art quilt challenges. This contest got me interested in seeing if I have any photos of my quilted projects — the answer is very few –and I have several tops waiting for me to take the plunge on my Bernina 830 to get them finished. So I will be the first to say my favorite part of quilting is in the design process of envisioning the final quilt and getting immersed in the details of colors, techniques, fabrics and threads. Another time I will share my photos of the process — I started this with a pillowsham and quilt combo –the sham is quilted but the quiklt is still in process of waiting to be quilted. Good luck to all the entrants. I made 4 grown men cry at Christmas. I created a BSA show quilts, from all their scout patches and moda grung. One quilt for each of them. So much fun. The first quilts I made, I used the same pattern 4 times for 4 different people. You can take the same pattern and make the quilt several times with different fabric choices and no two will look alike. With all the beautiful fabrics out on the market it is a joy to pick through and find the perfect colors for the person who will be receiving the quilt. I have made about a dozen quilts since I’ve been quilting, all but one have been given as gifts 🙂 Nowadays, I try and pick a different technique for each quilt I make as I also enjoy the learning process and challenges when making a new quilt – it can really keep your brain busy! #Ilovetoquilt and just finished a quilt for my hubby. To me the true love of quilting is the connection to my Grandmother. I still have the first quilt book she had given me 50 years ago. The pages are yellowed with time but I will never part with it. On my wall hangs a worn and tatered red and white quilt she made for my dad when he was a child…I feel her love in that old tatered quilt!